Not long ago, Americans could rightfully feel confident in our preeminence in the world economy. The United States set the pace as the world's leading innovator: from the personal computer to the internet, from Wall Street to Hollywood, from the decoding of the genome to the emergence of Web 2.0, we led the way and the future was ours. So how is it, bestselling author and leading expert on innovation John Kao asks, that today Finland is the world's most competitive economy? That U.S. students rank twenty-fourth in the world in math literacy and twenty-sixth in problem-solving ability? That in 2005 and 2006 combined, in a reverse brain drain, 30,000 highly trained professionals left the United States to return to their native India? Even as the United States has lost standing in the world community because of the war in Iraq, Kao warns, the country is losing its edge in economic leadership as well. The future of our prosperity, and of our national security, is at serious risk. But it doesn't have to be this way. Based on his in-depth experience advising many of the world's leading companies and studying cutting-edge innovation "best practices" in the most dynamic hot spots of innovation both in the United States and around the world, Kao argues that the United States still has the capability not only to regain our competitive edge, but to take a bold step out ahead of the global community and secure a leadership role in the twenty-first century. We must, though, take serious and concerted action fast. First offering a stunning, troubling portrait of just how serious is the erosion in recent years of U.S. competitiveness in innovation, Kao then takes readers on a fascinating tour of the leading innovation centers, such as those in Singapore, Denmark, and Finland, which are trumping us in their more focused and creative approaches to fueling innovation. He then lays out a groundbreaking plan for a national innovation strategy that would empower the United States to actually innovate the process of innovation: to marshal our vast resources of talent and infrastructure in the particular ways that his studies of innovation have shown lead to transformative results. 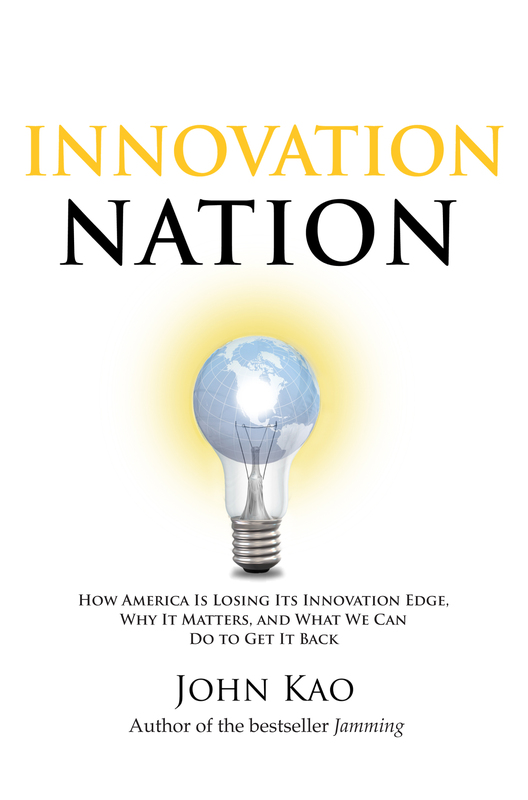 Innovation Nation is vital reading for all those Americans who are troubled by the great challenges the United States faces in the ever-more-competitive economy of our twenty-first-century world. "Tom Friedman sounded the alarm and gave us the big picture about the flattening of the world, and the decline of education and innovation in the U.S.A. John Kao gives us the specifics on exactly why and how the U.S.A. is losing our most valuable asset -- the ability of Americans to come up with great ideas, from light bulbs to PCs. Most importantly, Kao points in the direction the U.S.A. ought to go if it is not to become a global also-ran." "The arms race of the last century has been replaced by a new global brain race -- and the U.S. is in danger of unilaterally disarming. This inspiring book frames the challenge facing us and offers immensely practical advice on how to regain our place as innovation leaders." "John Kao hits the nail squarely on the head. In an engaging and highly readable way he delivers a timely message with important implications for our future -- that the global race for innovation is on, the field is filled with highly focused competitors, and our biggest mistake would be complacency." "A nation's capacity for innovation will determine whether it will be rich and powerful or poor and weak. In his insightful exploration of the world of innovation, John Kao makes clear the challenge that America faces as its own capacity for innovation erodes even as the rest of the world's abilities are growing. America's postition of power and wealth will be determined by whether it can rise to meet the challenge of the innovation agenda that Kao lucidly sets out." 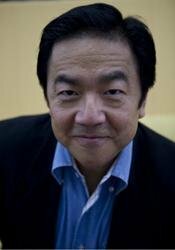 "It should be a surprise to no one that John Kao's new book is a highly innovative approach to innovation. He analyzes with crystalline clarity the challenges to U.S. innovation hegemony from ambitious and hungry competitors, China, India, Finland, and even Estonia. He does not shrink from advocating specific solutions, including the creation in the United States of 20 $1B Innovation Hubs and a National Innovation Advisor. His vision is not, however, American. He shows us how the whole planet needs to accelerate its capacity for innovation. For those of us who lead institutes dedicated to innovation this is a Bible and a Koran." "An insightful, and scary, account of the innovation challenges faced by the U.S... A very useful book that punctures America's complacency about innovation."